We’re all searching for something, and though we may never know what it is we’re looking for, we’ll be at it until our dying day. Beauty Sleep’s fuzzy new single captures this lifelong maze and more: Hypnotic and entrancing, “The Feeling Back” resonates with a dreamy, restless longing for purpose and meaning, youth and understanding. Atwood Magazine is proud to be premiering “The Feeling Back,” the glittering new single from Beauty Sleep. 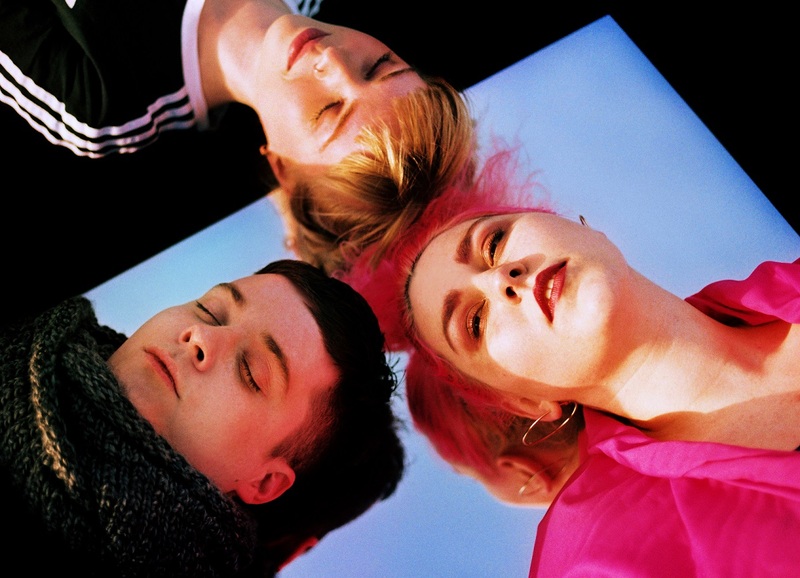 The Belfast-based indie pop trio of Cheylene Murphy, Ryan McGroarty and Aimee Williamson, Beauty Sleep was born out of a chance encouter at a drink-filled house party – where a shared love for gin and tonics transformed into a powerful musical connection, possibly also infused with G&Ts. Beauty Sleep offer an alternative dream-pop haze full of warmth, nostalgia, uncertainty and exciting. Debuting in early 2016 with the sweetly shimmering “The Dark,” the band has evolved musically and creatively into a solid indie pop force. Their latest single shows a band moving forward, exploring new areas as they develop their songwriting and instrumental talents. “The Feeling Back” is the latest single off Beauty Sleep’s forthcoming album, set for a September 2018 release. The trio describe their song as “a little bit nostalgic for that youthful feeling – where everything is exciting and the world is your oyster, as we’re growing up that seems harder to come by.” Their nostalgia is especially potent in the chorus: “I know there’s something out there / I could chase it for forever,” they chant, echoing that frantic, never-ending rush. It’s that itching in the back of your mind, the constant drive for fulfillment; for feeling like you’re in the right place. Growing up, most children feel right at home. Once we fly the coop, though, we’re on our own; we’re the makers of our own destiny, unguarded and unprotected. That responsibility is frightening: It means we have full control – a power unlike anything else we’ve experienced. Thus, “The Feeling Back” offers this duality of desires – yearning for feeling like you’re at home and in the right place, but also a craving for the control you have today. Beauty Sleep know there’s no going back – it’s obvious that the only path lies ahead of us, not behind. Still, it’s so hard to not look back and smile. On track to release their debut album later this year, Beauty Sleep are bubbling toward the surface, and we cannot wait to hear what’s next. Connect with the band via their socials below, and stream “The Feeling Back” exclusively on Atwood Magazine!